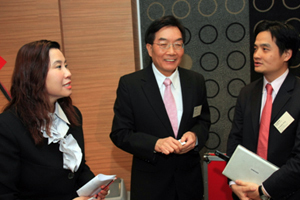 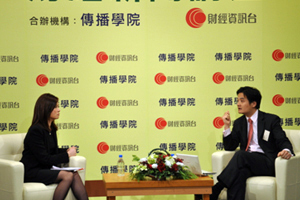 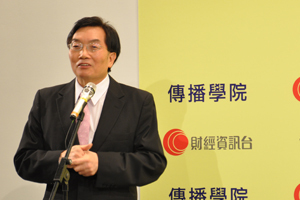 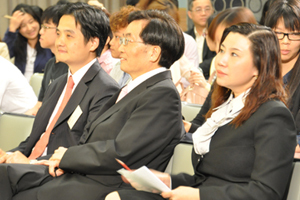 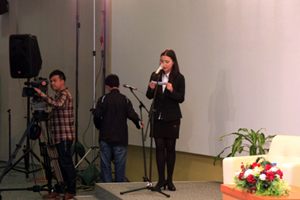 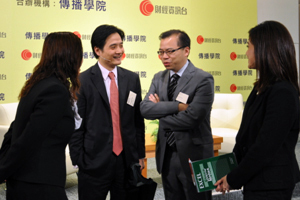 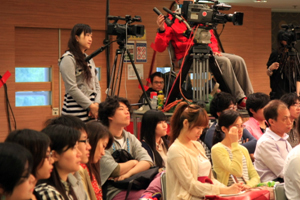 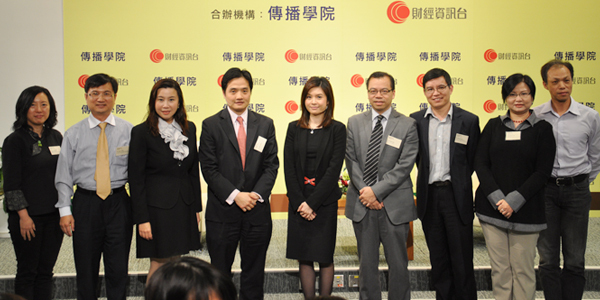 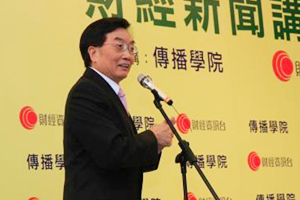 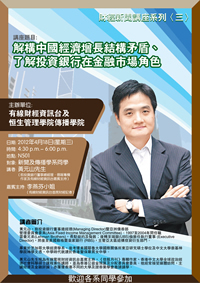 Jointly organized by i-Cable Finance Info Channel and the School of Communication, the third Financial News Seminar was held on the 18th April 2012. 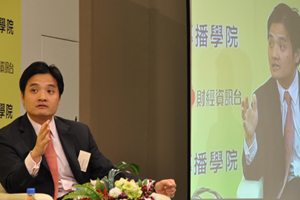 We were honored to invite Mr. Stephen Wong Yuen Shan, former Managing Director of investment banks and column writer of Hong Kong Economic Journal Monthly, as the guest speaker. 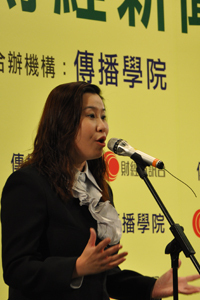 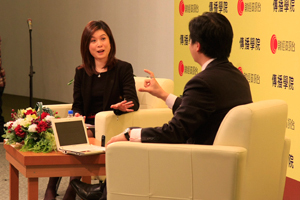 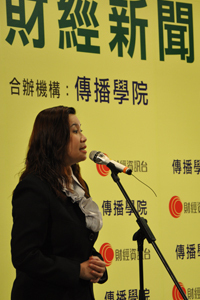 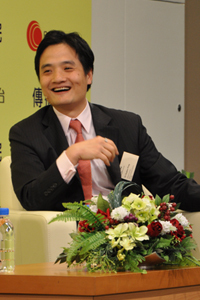 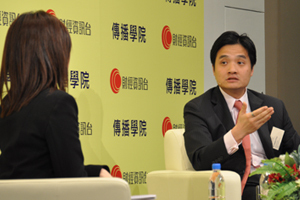 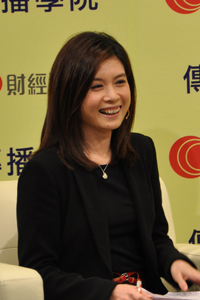 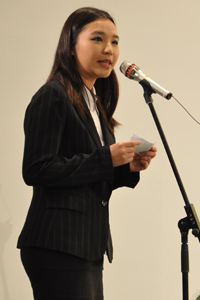 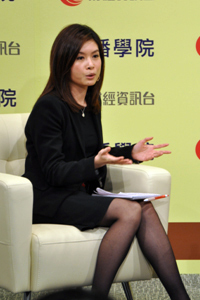 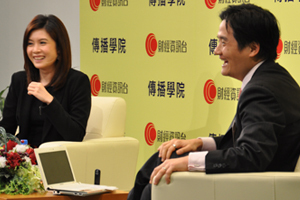 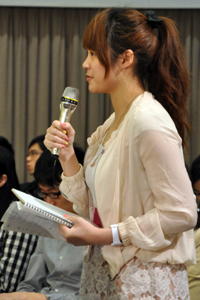 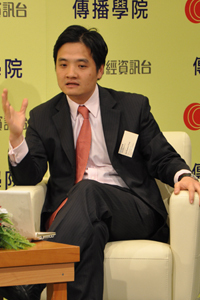 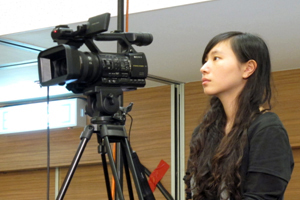 Ms. Frances Li, Chief Reporter of Finance Info Channel was invited to be the guest host. 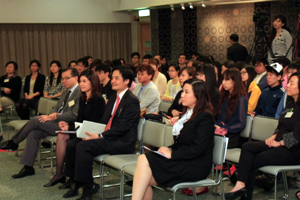 Apart from analyzing the structural conflict of economic growth in China, Mr. Wong shared his job hunting and working experiences in investment banks with BJC students. 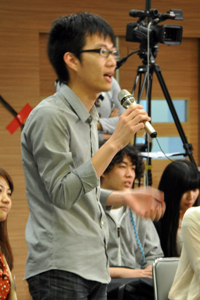 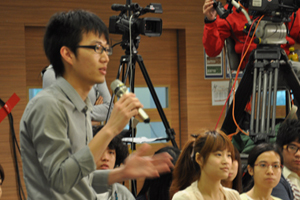 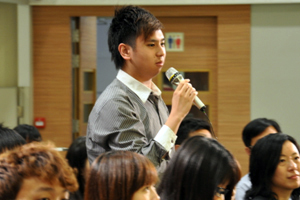 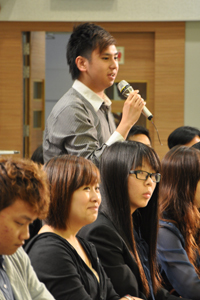 To get inspiration from Mr. Wong’s experiences, students actively raised questions to the guest. 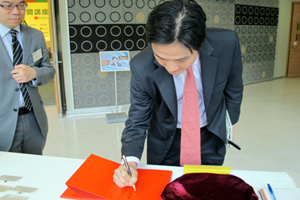 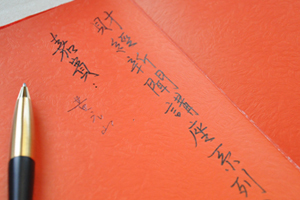 Mr. Stephen Wong Yuen Shan signs on the guestbook. 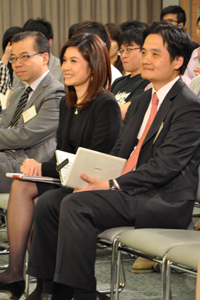 The guest host, Ms. Frances Li, Chief Reporter of Finance Info Channel.